Note: The Osborne Family Spectacle of Dancing Lights has been removed for the creation of Star Wars Land. Walt Disney World’s The Magic Kingdom in Orlando, Florida attracts the most attention during the holidays, but there are two other Disney gems that should not be missed at Christmas time. If a visit to The Magic Kingdom is the main big wrapped gift under the Christmas Tree, then the stocking stuffers are dazzling trips to EPCOT and Disney's Hollywood Studios. 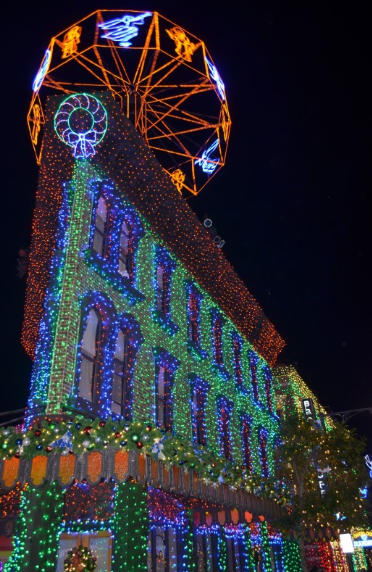 Disney’s Hollywood Studios has millions of the Osborne Family Spectacle of Dancing Lights in the New York City back lot. In a few moments you’ll see the mundane city street scene and later see it laced in glorious, blinding Christmas lights. 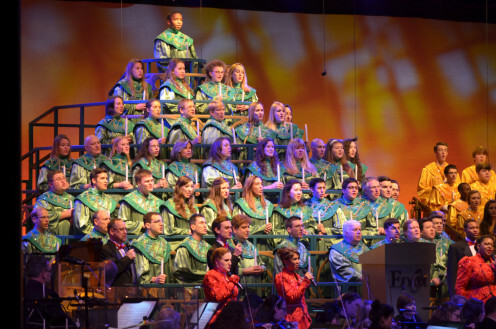 EPCOT has the magical and inspirational Candlelight Processional – a culling of a celebrity telling the Christmas story accompanied by a 50-piece orchestra and a choir. Fortunately, Disney’s Christmas celebration starts in early November and I say fortunately because the closer you get to Christmas Day the larger the crowds. 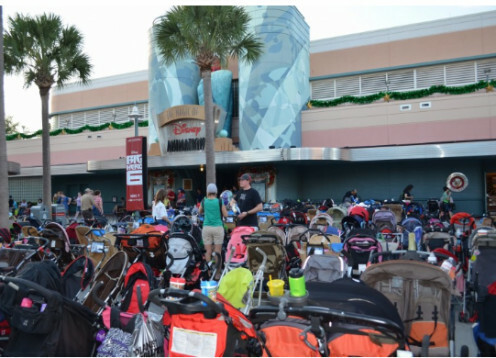 My family and I have visited Walt Disney World during Thanksgiving week for two consecutive years and we didn’t miss a thing – except the crowd-closing capacity crowds at The Magic Kingdom on Christmas Day. Though this article will highlight the special holiday attractions at EPCOT and Disney's Hollywood Studios during the holidays at Walt Disney World, I will touch on other attractions at these parks. If you are considering a holiday trip to any of the Walt Disney World four theme parks - then start your planning now (we started in May and still didn't get Thanksgiving Week reservations at our first choice Disney restaurants). Why visit Walt Disney World at Christmas time? Because at no other time of the year will you experience the caliber of magical spectacles than those found during the Christmas Holidays at EPCOT and Disney’s Hollywood Studios. Scroll to the bottom for the IF YOU GO START HERE! capsule that will suggest Walt Disney Resorts one-stop shop that we used to plan and book our trips. When night falls at Disney’s Hollywood Studios during the holidays, make your way to the studio backlot known as the Streets of America and you’ll enter a dazzling world of millions of dancing Christmas lights. 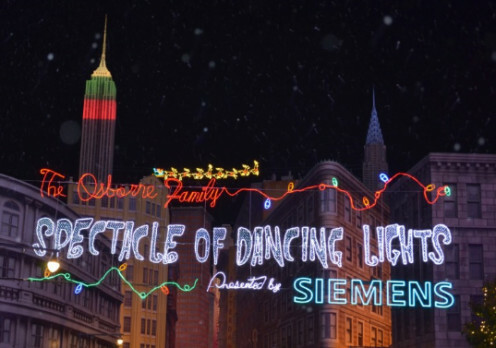 The lights are programmed to blink and pulsate to recorded holiday songs by popular singers.The lights remain static for nearly 10 minutes before launching into another “dance” routine to a different series of holiday selections. The dancing lights, which takes more than 20,000 hours to install - start performing at sundown and continue until the park closes. 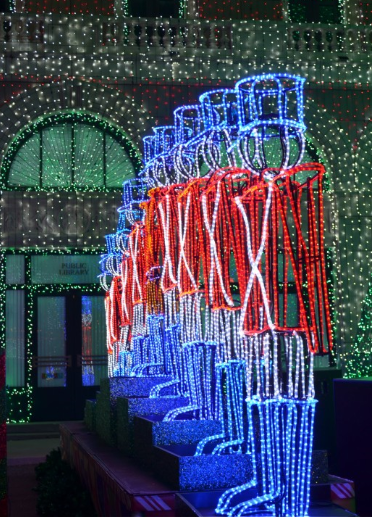 The holiday display is named after the Little Rock, Arkansas Family who created the display in 1986 at their home. Their residential display eventually grew to more than three million lights, attracting crowds and lawsuits from the Osborne’s neighbors who claimed the attention it garnered was a nuisance. 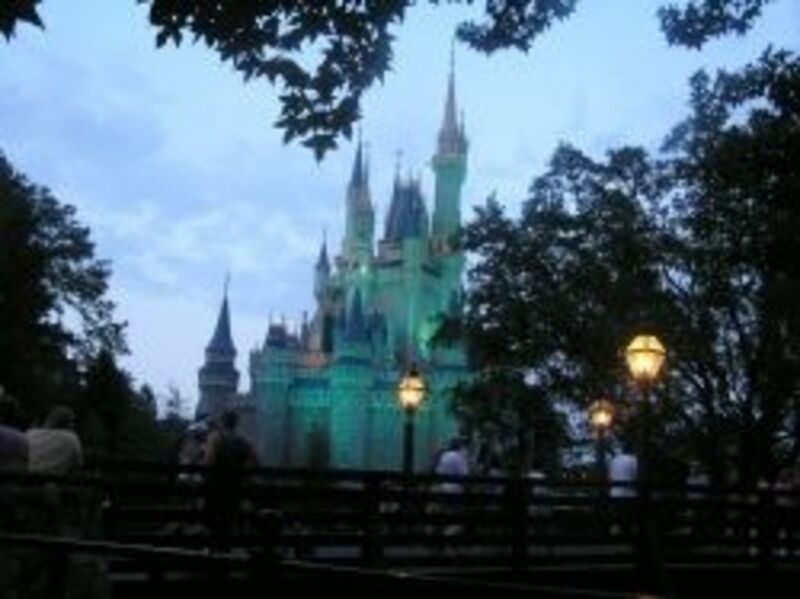 After several lawsuits and a U.S. Supreme Court decision that sided with the neighbors, a Disney official approached the family for the rights and lights for what was known at the time as Disney-MGM Studios. 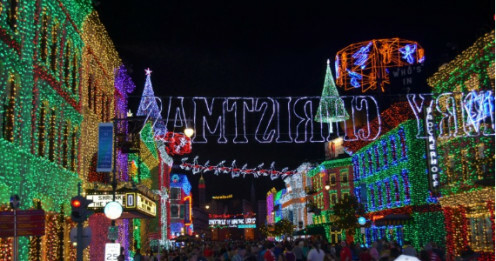 Today, The Osborne Family lights are included in the admission price to Disney’s Hollywood Studios. Park guests who stay at one of the Disney resorts practically have the lights and the park to themselves because they enjoy Magic Hours. Magic Hours are granted to Disney hotel resort guests – which means that they can enter the park one hour before non-resort guests and stay in the park after it closes to non-resort guests (on select days). Unfortunately, the 2015 Holiday Season will be the last for the Osborne Family Lights. There is speculation that part of the current city street setting will be the site of the recently announced Star Wars environment. 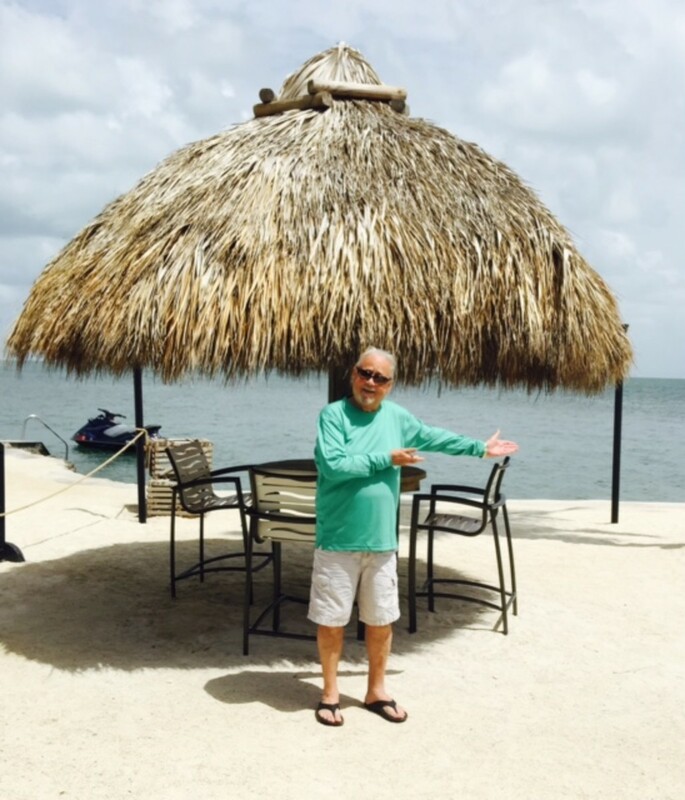 If You Go: Start Here! My family and I have purchased tickets, meal plans and booked hotel rooms at Walt Disney World Resort hotels for each of our trips by using this one-stop shop www.mydisneyexperience.com. It is a Disney-operated website with knowledgeable people on the other end of the line should you have questions. The Walt Disney World telephone number is 407.939.5277. 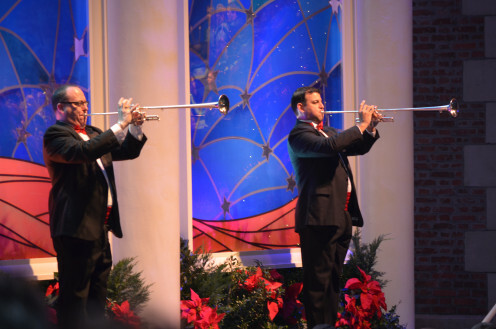 The good knowledgeable folks on the other end of the line have answers to all your questions and updated information on seasonal shows such as The Osborne Family Spectacle of Dancing Lights and the Candlelight Processional. There are park perks when you book through Disney. My advice? Plan. Call. Ask. Book Early. 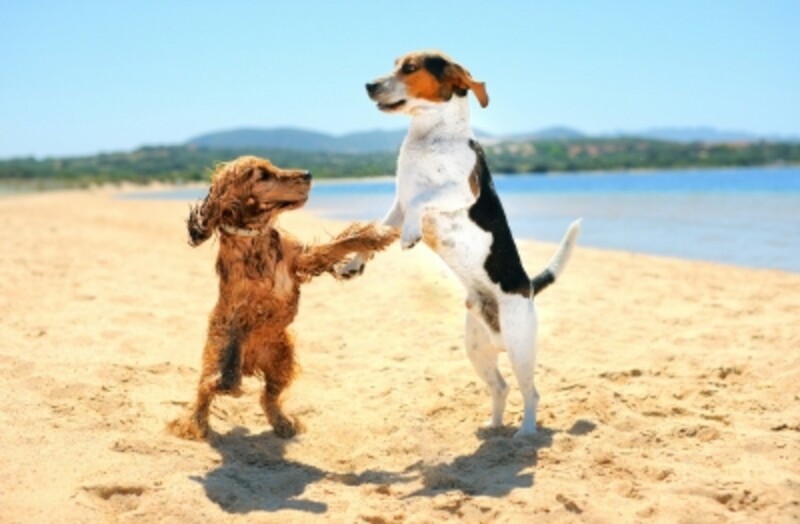 The more effort and planning you make on the on the front end, will give you a lot more time, leisure and entertainment on the fun end. Holiday garland, wreaths and bows grace topiary, lamp posts and buildings at Walt Disney World’s EPCOT. However, the highlight of the holiday season at EPCOT is the magical Candlelight Processional in the World Showcase area of the theme park. 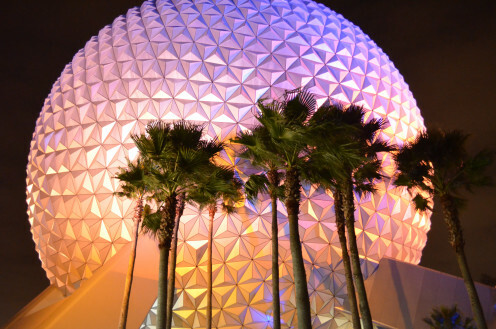 EPCOT, which opened in 1982, consists of two areas on 300 acres- twice the size of The Magic Kingdom. The nearly 12 million guests who visited EPCOT last year, entered the main gate and encountered Future World. 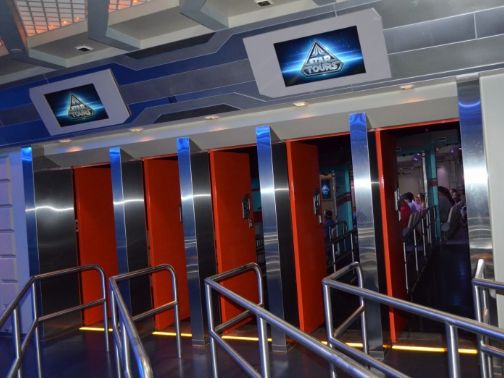 At Future World, you find the park’s main attractions such as Mission To Mars, Soarin’ and the Test Track, among others. The World Showcase features pavilions from 11 countries, and it is here that the Candlelight Processional is performed. 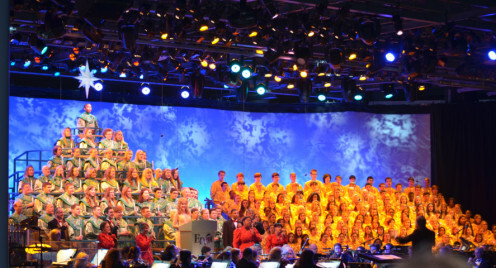 Each year, celebrity guests read the Christmas story supported by a 50-piece orchestra and a mass choir. We made sure that we had seating at the Candlelight Processional by purchasing a Candlelight Processional Dinner Package at one of the EPCOT restaurants that offered the package. By the way, we made reservations the day bookings became available in early July for a Thanksgiving Week performance. We recommend booking the Dinner Package plan early to ensure obtaining tickets with the meal. The Candlelight Processional Dinner Package gets you a fine meal at participating EPCOT restaurants and tickets to the show. 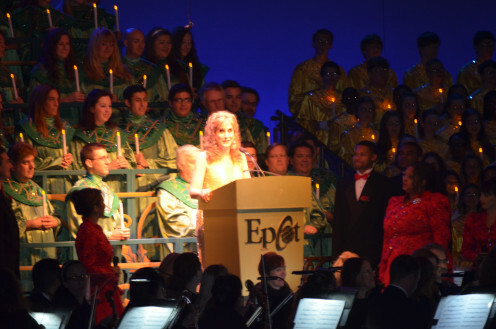 Jodi Benson was the celebrity guest reader the year that we attended. Later that week, Neil Patrick Harris, Whoopi Goldberg, Lavar Burton and others offered narration. 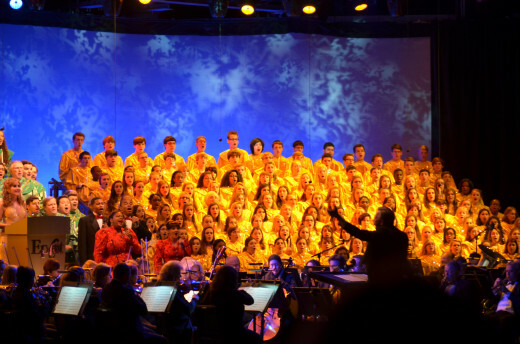 Admission to the Candlelight Processional at the Americas Garden Theatre is included in the price of admission to EPCOT, however seating is on a first-come, first-served basis, but are guaranteed when tickets are purchased with a Dinner Package. Remember that priority seating is given to EPCOT guests who have bought the Dinner Package that includes tickets to the Candlelight Processional. Those with Dinner packages are the first to be seated, if seats are available than those without dinner package tickets are allowed in – however, there are times when there aren’t any seats left after dinner guests have been seated. Unless more shows are scheduled, typically there are only three shows. Since the Americas Garden Theatre is an outdoor theatre, those not lucky enough to get seats can stand along the concourse and listen to the performance. We entered the gates of the 135-acre Disney's Hollywood Studios knowing that we would close the day with a spectacular and dazzling one-of-a-kind Christmas light show. 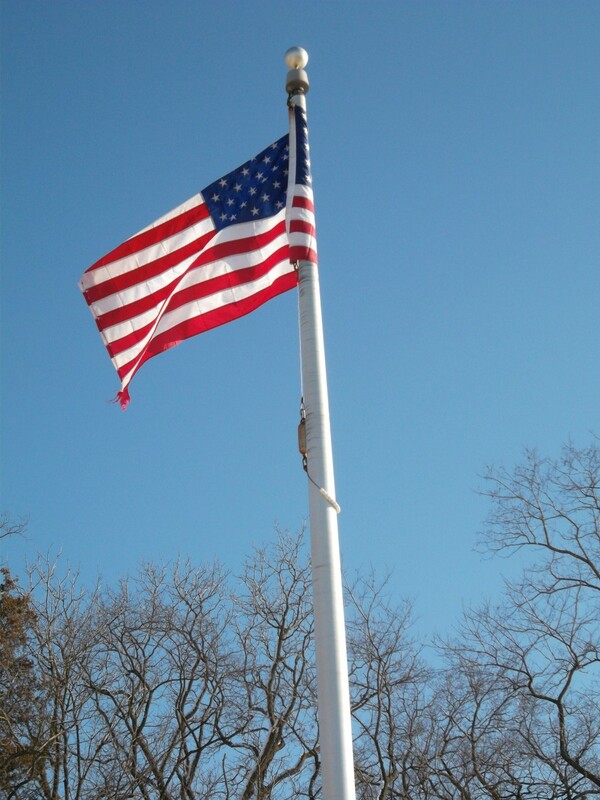 But while waiting for the sun to go down, we were to enjoy for the second time, what nearly 12 million other visitors enjoy annually. 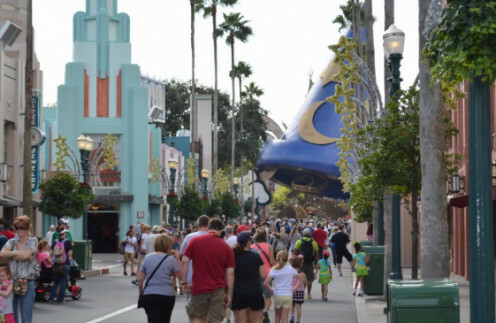 Disney’s Hollywood Studios may have opened in 1989, but enter its gates and you’ll find yourself walking down at 1930’s era Hollywood Boulevard. The art deco architecture and pastel shades harkens back to the Golden Age of Hollywood. 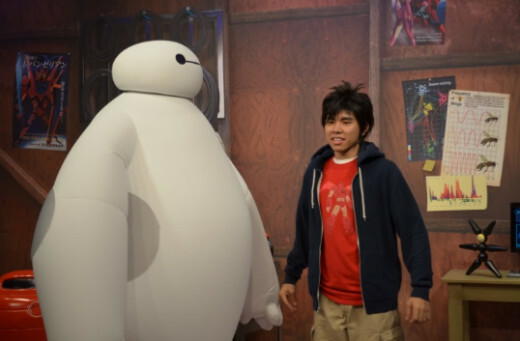 The stores in either side of the street sell food, drink, Disney merchandise and move-related momentos. 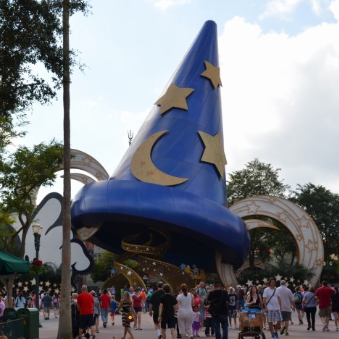 Now that the iconic Sorcerer’s Hat has been dismantled, visitors have an immediate view of The Great Movie Ride and a reproduction of the legendary Chinese Theater. Interestingly, it is The Great Movie Ride that inspired the creation of Disney Hollywood Studios. Michael Eisner, then head of The Walt Disney Company, commissioned Disney’s Imagineers to develop two new attractions at EPCOT. 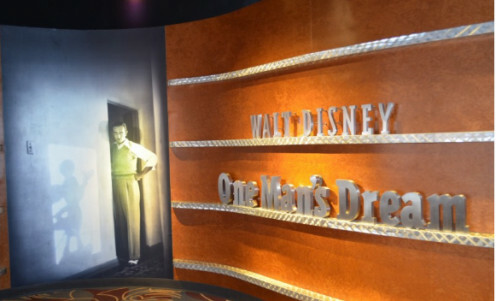 When Eisner saw The Great Movie Ride, he then commissioned that a third theme park be created – built around this movie ride – to celebrate the motion picture industry and the classic Hollywood. Intersecting with Hollywood Blvd near the Brown Derby Restaurant is Sunset Blvd. 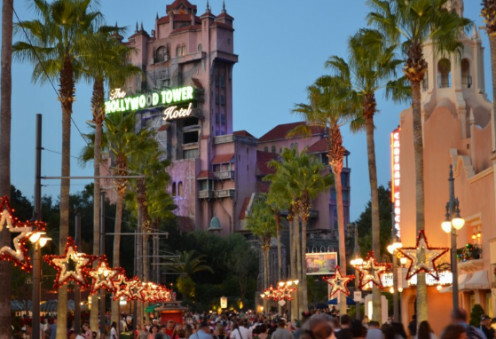 which leads to one of the park's major attractions - Hollywood Tower of Terror. You’ll also find Pixar Place, dedicated to Pixar characters and the hottest ride at the park: Toy Story Mania. 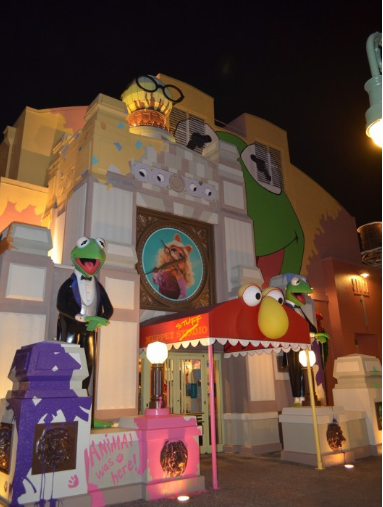 The Muppets 3D theatre show, the last show that muppets creator Jim Henson worked on before he died, is a must-see. 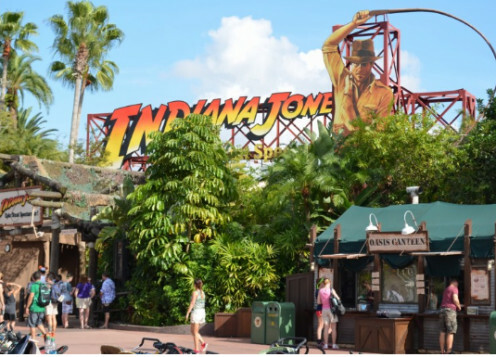 Before The Walt Disney Company purchased Lucasfilms, LTD, Star Wars and Indiana Jones-related attractions were part of the thrills at the theme park. 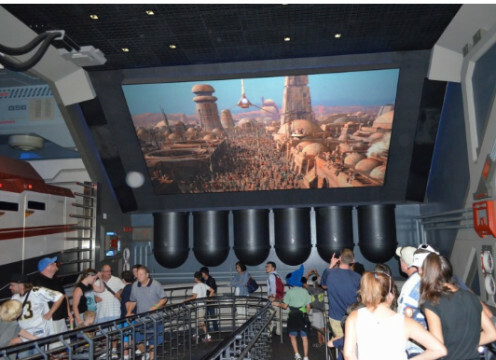 The attraction Star Tours ride and Jedi Academy, where young padawan visitors to the park test their lightsaber fighting skills with Darth Vader, will undoubtedly increase in popularity when Disney releases the new series of Star War movies. The Indiana Jones Stunt Spectacular! 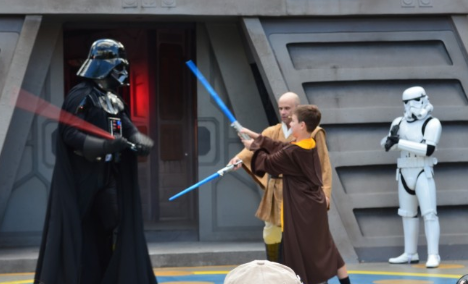 show continues to be a “must-see” at Disney Hollywood Studios. Rumors that Chris Pratt will re-boot the movie series will also spark longer lines. 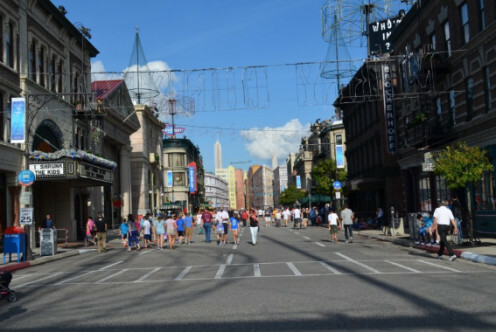 Unlike the defined boundaries of the “lands” at The Magic Kingdom, the studios instead have back lots and streets, much like movie studios. And it’s here, at the Streets of America, that you’ll find the brilliant, dazzling dancing lights of The Osborne Family Spectacle of Dancing Lights. If you visit Walt Disney World to bask in the brilliance and magical atmosphere of the Christmas holidays, be sure to plan now and book early. Based on our experience, the Christmas magic is alive and thriving during Thanksgiving Week. If you want to enjoy the Disney Christmas magic without the capacity-closing park crowds Thanksgiving Week is a great time to go. Remember, that using Disney's reservation services at the address and phone number mentioned above, you very much benefit from convenience and park perks. For us, the Magic Hours were, well, magical. 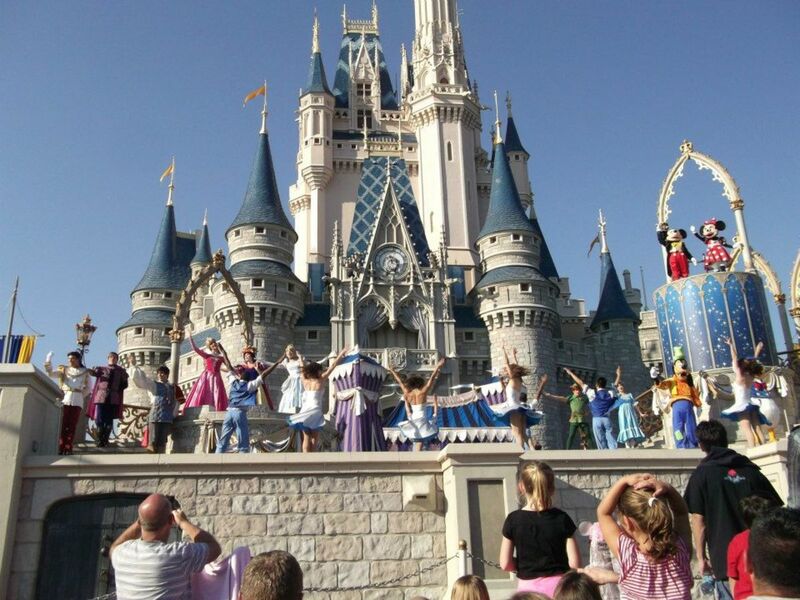 Have You Visited Walt Disney World During The Holidays? That's great, VJGSA! I heard about that, but haven't read everything about it. I'll definitely be looking more into it! Magical & Billybuc.....You know what they say....a dream is a wish the heart makes. Also, Disney now has what I call a layaway plan. Plan your trip. Estimate the costs. Deposit what you can each week or month into your Disney account. You get a $20 Disney gift card for every thousand you deposit. My wife opened an account and we're saving for our next trip. This is good for any Disney resort. Hey Magical, this might make a good Hub. Have you folks seen the 3 top Gaston viral videos? I'll have to take your word for it, which I do. I've never been there, but the pictures make it look spectacular. Maybe one day I'll make it. We can always hope, right?